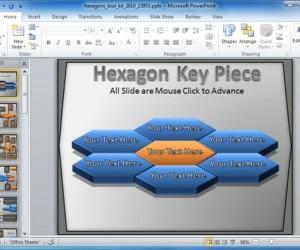 Presenter Media’s animated PowerPoint Template toolkits provide a comprehensive set of features to help presenters build elaborate slides for their presentation. 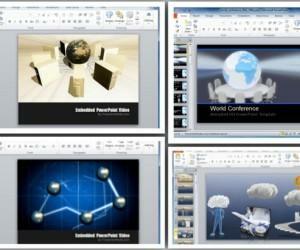 Among the infinite toolkits offered by Presenter Media, one of the most notable one is the Plant Toolkit Template for PowerPoint. 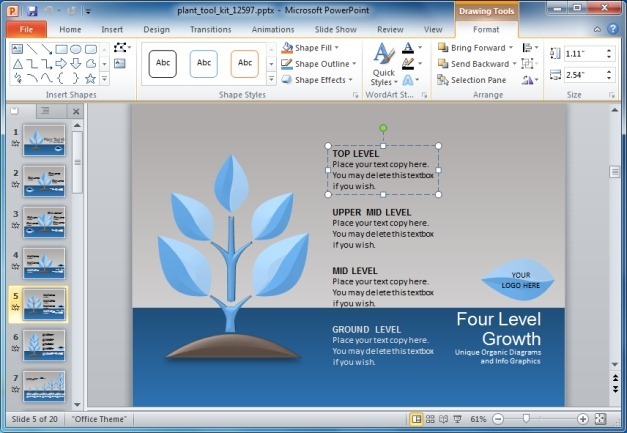 This is a Growing Plant PowerPoint Template that shows an animation of a growing plant, with the option to customize the plant animation by adding your own text. 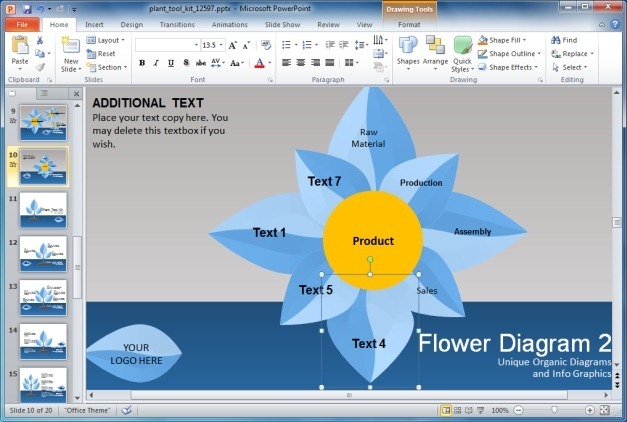 The template starts with an animation of a growing plant, followed by other plant themed animated slides. 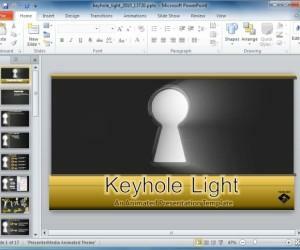 The slides within this template can be edited by adding your own text to the given placeholders. 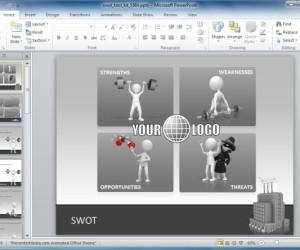 You can also add your own clipart and images which will play out with your added text and pre-rendered animations. 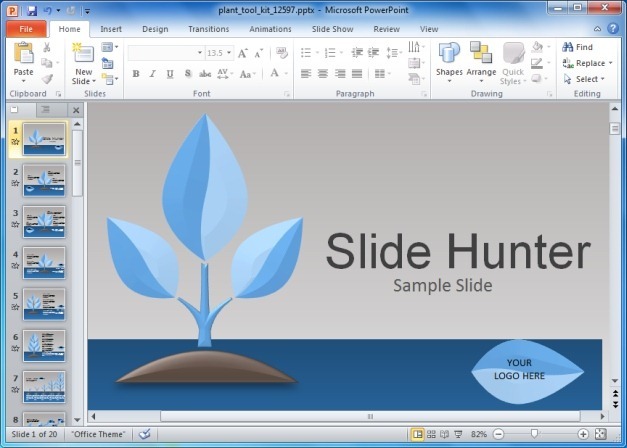 For example, when you add a presentation title and logo to the opening slide, it plays out with the animation of a growing plant. 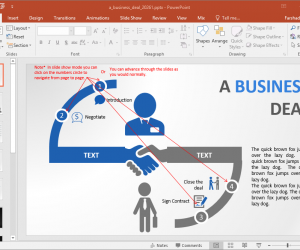 As the presentation shows the process of a growing plant, you can use this template for anything from educational to business presentations, especially where you may require showing growth. This may include presentations about; business growth, market expansion, economic growth, product lifecycle and the like. 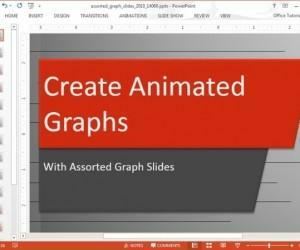 The plethora of sample slides come with a wide variety of layouts which can help you in making timelines, animated or static slides and even diagrams. For example, you may create plant diagrams for a biology class, economics lecture on economic growth, business presentation about market expansion, etc. 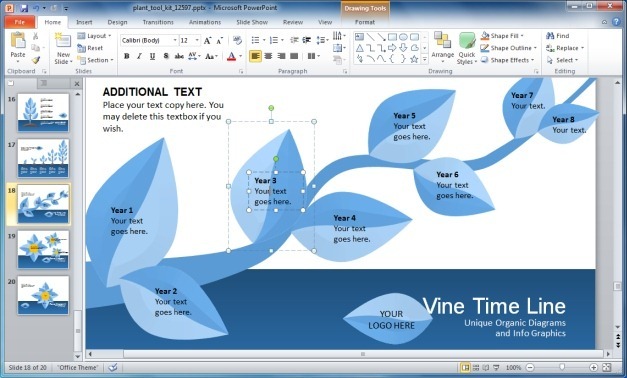 The below image shows an animated sample slide of a Vine Plant, with multiple placeholders for adding your custom text.